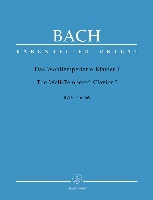 Herr, wie du willt, so schicks mit mir (Lord, as you will, so let it be done with me), BWV 73, is a church cantata by Johann Sebastian Bach. He composed the cantata in his first year in Leipzig for the Third Sunday after Epiphany. The prescribed readings for the Sunday were taken from the Epistle to the Romans, rules for life (Romans 12:17–21), and from the Gospel of Matthew, the healing of a leper (Matthew 8:1–13). The unknown poet takes the words of the leper "Lord, if thou wilt, thou canst make me clean" as a starting point and recommends his attitude of trust for the situation of facing death. 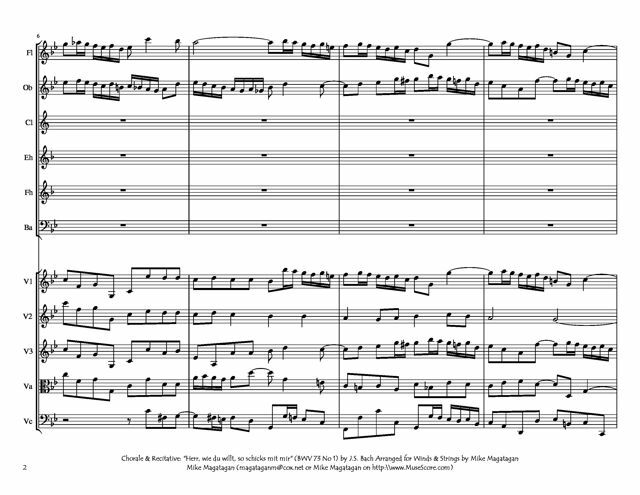 In the first movement he contrasts lines of Kaspar Bienemann's chorale "Herr, wie du willst, so schick's mit mir" with three sections of recitative. Movement 3 paraphrases Jeremiah 17:9. The words of movement 4 are the leper's words from the Gospel. The closing chorale is the final stanza of Ludwig Helmbold's hymn "Von Gott will ich nicht lassen". 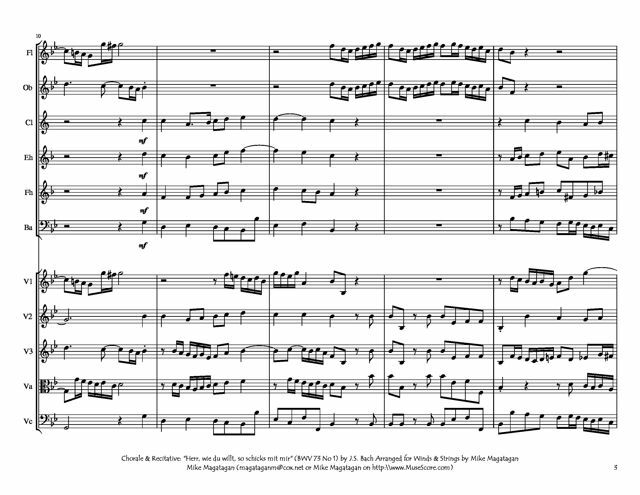 Bach first performed the cantata on 23 January 1724, and performed it again in a revised version on 21 January 1748 or 26 January 1749. 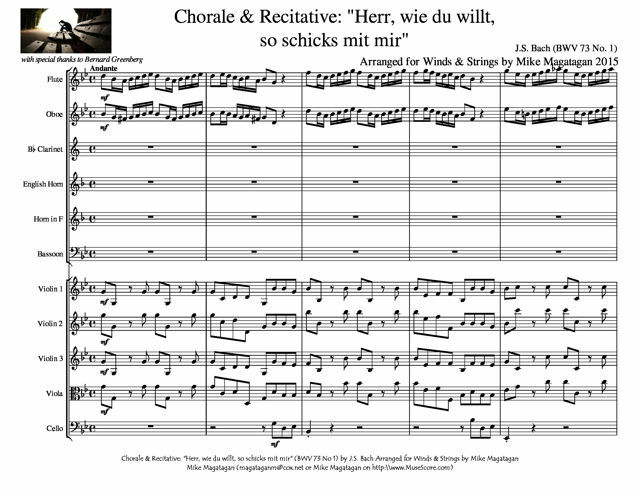 The opening chorus is based on the first stanza of the hymn "Herr, wie du willt, so schicks mit mir", which is expanded by recitatives of the three soloists. A four-note motif on the words "Herr, wie du willt" is introduced by the horn and repeated throughout the movement. 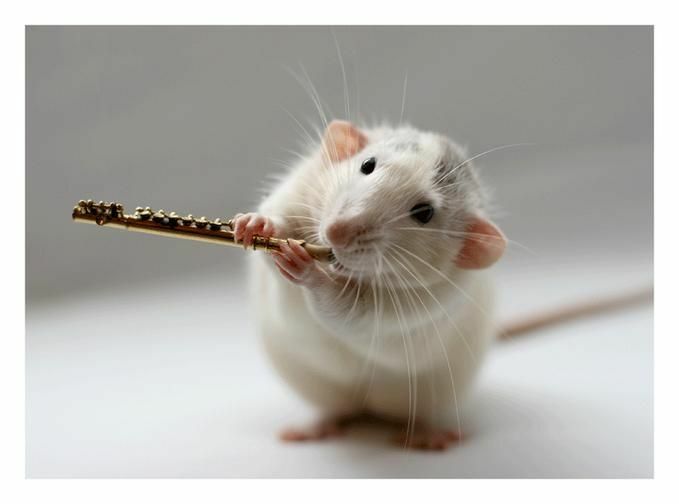 The accompagnato recitatives for all soloists are accompanied by the oboes with material from the ritornello, while the horn and the strings continue the motif. In the final repeat of the ritornello the choir sings the motif, and repeats it in a final "cadenza". Although originally scored for soprano, tenor and bass soloists, a four-part choir, horn (replaced by organ in the revised version), two oboes, two violins, viola, and basso continuo, I created this arrangement for Winds (Flute, Oboe, Bb Clarinet, English Horn, French Horn & Bassoon) and Strings (3 Violins, Viola & Cello).